We all know referral marketing works. So with these great benefits and more, why isn’t your business using it (or, at least, using it to its full advantage)? If you aren’t where you should be with referral marketing, don’t worry. I’ve broken down the process below by industry so that you can get your first campaign up and running as quickly as possible. Before we get into the referral marketing templates below, there are a few things I want you to have in place. Referral marketing works by letting you tap into the goodwill you’ve built among your customer base to drive new sales. The key there is that you have to have that goodwill in the first place. If you don’t have a product or service you know your customers love, focus on that before turning your attention to referral marketing. Being seen as pushing a referral scheme that benefits you – rather than the new customers that’ll be introduced to your offering – won’t get you very far. While you’re nailing down your product or service offering, make sure your customer service is top-notch as well. Think about it… The goal of referral marketing is to start funneling new customers into your business. Can your systems handle that influx? Has your customer support been stress-tested sufficiently to ensure these new customers have the same positive experience as your original clients? Make sure you’re ready to care for your incoming referrals before you even think about expanding this way. One of the biggest mistakes I see businesses making is introducing the idea of referrals at the wrong point in the sales cycle. If you’ve ever signed up for a new product or service – only to be immediately bombarded with invitations to become an affiliate or brand advocate – you know what I’m talking about. Consumers don’t like feeling as if their only value to you is monetary. That’s why I recommend asking for referrals only after new customers have hit the “aha” moment (aka, the point where they first start to understand the full value of your product or service). As an example, take my cold email tool, Mailshake. One of our key differentiators is that we’re significantly easier to use than other cold emailing tools on the market. When we bring new customers on, the “aha” moment for them is when they realize how easy our tool is to use. That’s why we’ve invested a lot into onboarding to get them to that point as quickly as possible. Now, imagine that we started asking for referrals before new customers had experienced that differentiating feature for themselves. We don’t actually have a referral system set up at all right now, but if we added one immediately after sign-up, we’d risk bugging people with asks before they got what makes us different. By waiting until they crossed that threshold, our referral program would be much more likely to be successful. Of course, if you want to time your referral program to your “aha” moment, you have to know what that is for your company and when it occurs. That’s a whole separate analysis, and it’s one you should undertake for plenty of other reasons besides its impact on referral marketing. The last thing you need is an understanding of what’s going to get your existing customers to refer new ones to you. I’ll cover this in greater depth in the individual funnel templates below, as specific motivating factors vary by industry and business type. For now, know that, just because a referral scheme works for Uber or Airbnb, that doesn’t mean it’ll work for you. Some customers don’t actually need incentives to refer others. They’re just happy to be able to share a product they love with someone else who might benefit from it. Others will be offended if they believe you’re attempting to capitalize on your relationship with them through a formal referral system. Take the example of Worldwide101 founder Sandra Lewis, who attempted to turn customers into brand advocates with personalized invitations to a new referral program. 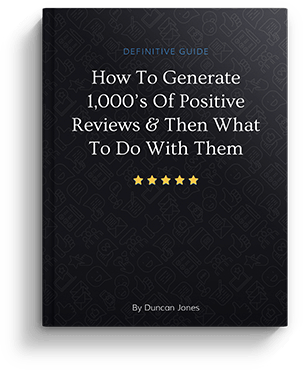 I can’t tell you what’s going to work for your audience, although there are some general industry-specific guidelines that may be helpful in discovering your ideal incentive. Think about your customer base and how they’ve engaged with you in the past before committing to any specific referral framework. That said, one seriously underrated technique is simply asking. If you have satisfied customers, just ask them what it’d take to get them to refer your product to others. You may find that they’re happy to do it with no incentive. If not, you’ll get concrete insight into what it’ll take to make your program work. At my agency, a lot of referrals just spontaneously happen. People like the service we provide, they tell their friends, and then their friends reach out to us directly. It’s a great feeling to hear from those who have been referred to us, and we always go out of our way to thank those who made the connection. In this case, Uber is offering a set monetary reward for every rider referred, as well as the opportunity to earn awards for referring more people. Uber can’t get away with simply thanking its participants. It needs a structured program for tracking when referrals occur, whether or not they’re successful (according to the program’s terms and conditions) and issuing the promised rewards. Most companies that need to manage referrals at this level use paid software like RewardStream or ReferralSaaSquatch. Others find that participating in an affiliate network is the easiest way to manage per-transaction referral bonuses. If your program isn’t quite as complex, you may be able to manage it on your own with a spreadsheet. As a note, referral marketing and affiliate marketing are similar in execution, but slightly different in concept. 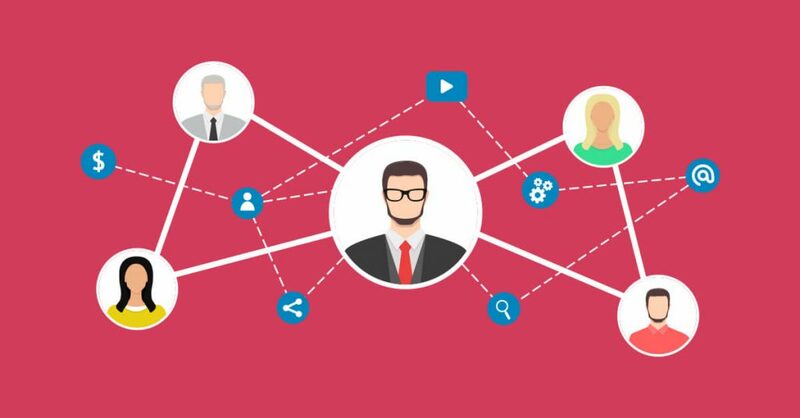 In the case of referral marketing, you’re asking existing customers to reach out to their established networks. Affiliates, on the other hand, operate solely for the financial benefit of sending you sales. One or both may be appropriate for your company. Regardless of the mechanism you use, you have to have a system in place. Active referrers won’t participate for very long if they don’t receive the bonuses they’ve earned. If you won’t be using a formal referral marketing program, go ahead and skip this step. If you are, keep in mind that – as a part of offering a referral scheme – you need to make clear your expectations and standards for those who participate in the program. Uber’s promotion, pictured above, covers key terms upfront. You’ll want to do the same, but you may want to go even a step further, depending on your referral marketing program. Who is eligible to earn referral bonuses? Is there a limit on the number of bonuses that can be earned? How should referrers represent your brand (or their relationship to it) when sharing your company with others? Are there any places where referral promotions shouldn’t be used? You may, for instance, want to disallow participants from placing their unique referrer codes on coupon clipping or web deals sites. Are there any sponsored content guidelines members need to be aware of? Place this information on your website, or drip it out via an email sequence after new referrers sign up. If necessary, have a lawyer draw up a terms and conditions contract new participants must sign off on in order to protect your company from legal risks. Once you’ve fulfilled the requirements above, you’re ready to build your own referral marketing program. That said, how you do so may look very different, depending on whether you’re a small e-commerce retailer, a major B2B enterprise software provider or anything in between. Another powerful option is to use referrals during your pre-launch or crowdfunding phase. It might seem counterintuitive – your product isn’t ready to ship, so what exactly are people recommending? – but remember that your main goal at this stage is to generate awareness and collect contact details. 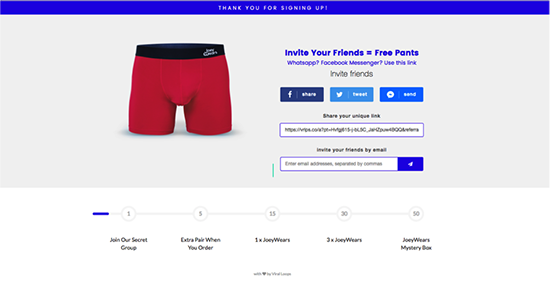 Premium underwear startup Just Wears used a basic referral program to gather as many email addresses as possible. That list delivered over $100,000 in contributions to their Kickstarter campaign. Their original goal? $15,000, and they crossed that threshold within 30 hours of the campaign going live. So, how’d they do it? 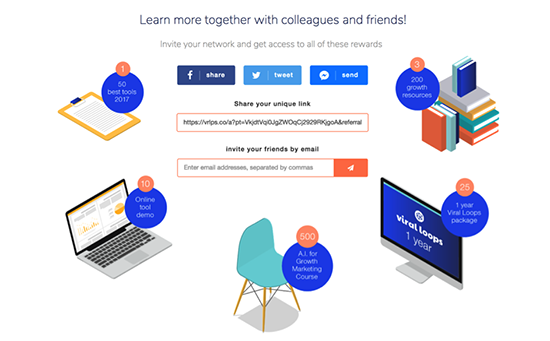 Just Wears launched a milestone referral program, which allowed people to collect various points or prizes as they referred more friends and hit certain milestones. This approach encourages everyone to refer more than once, and makes the entire process as easy as clicking a single button. The trick is to make the tiers at the beginning easily attainable, while the high-end items must be worth the time and effort. Choose carefully. The milestone referral system was inspired by Harry’s – the razor blade subscription company – that used it to compile over 100,000 email addresses in just one week. The degree to which you’re able to customize this invitation will depend on the features available in your referral marketing program. If you’re a very small shop (and anticipate staying that way), you might be able to get away with managing your referrals via spreadsheet. If you’re a company like Hotels.com, however, a dedicated system that can automate the process of referral marketing quickly becomes necessary. 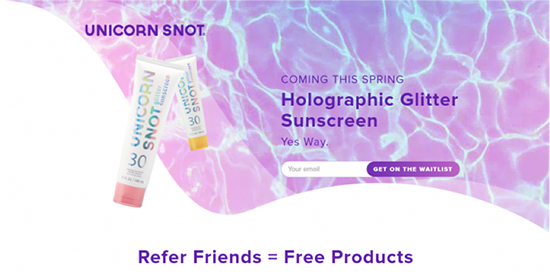 Referral programs – and especially those based on milestones and tiers – lend themselves easily and readily to the B2C e-commerce industry. Push notifications, in-app messages and mobile ads can all be leveraged in deploying referral marketing program information. Tying a positive wallet balance to a referral scheme can decrease post-referral uninstall rates by as much as 60%, according to data shared by AppVirality. In-app messaging and notifications whenever referred friends take incentivized actions can meet a need for instant gratification and regular positive reinforcement that leads to greater app satisfaction. However, mobile app owners will also need to be wary of referral fraud. If all it takes to earn a referral bonus is for a friend to create a new account, expect that you’ll receive plenty of fake referrals intended to take advantage of your system. Earlier in this article, I referenced Uber as an example of a company using referral marketing effectively. 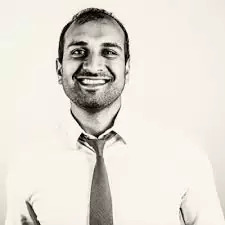 In fact, the company is just one of a whole class of peer-to-peer service companies that grew to unicorn status by leveraging personalized referrals on a massive scale. Imagine that every customer of yours invited 1.1 new users, on average. 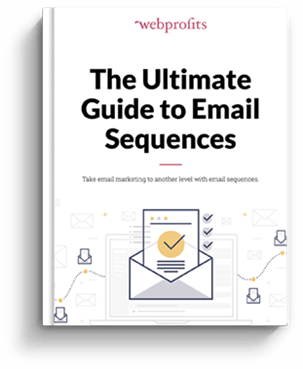 You’d never have to do any marketing again – your company would grow on autopilot, until you’d enrolled your entire audience of possible users. Thanks to promotions like these, the company’s growth doubled every year from 2012 to 2015 (and continued to grow beyond that as well). Make sure the incentives you promise don’t cut too deeply into your profit margins. One way to keep the financial impact of offering incentives on both sides of the equation is to tie them to the completion of a revenue-generating activity (as Airbnb did by paying out credits after trips were booked or rooms were rented out). Imagine a new Airbnb customer booking a $200 rental. In that case, a $25 credit seems appealing – it’s effectively a discount of more than 10% off. Now imagine that you offered the same $25 off incentive to a SaaS subscriber who’s paying $200 per month. It’s easy to see how the same incentive – which was so appealing in the Airbnb example – seems like a drop in the bucket compared to the ongoing costs associated with a SaaS product. That isn’t to say that cash discounts aren’t an effective strategy for SaaS companies. They can be, but these businesses have a number of other tools at their disposal for building their referral marketing funnels. No matter what incentive you offer, you’ll need a way to track referrals and issue rewards when they’re due. But that said, you don’t necessarily need an incentive – or a defined referral program – for your SaaS company. If your product is good enough, referrals will happen naturally, simply because people will be excited to share what you’ve built. If you’re a B2B service provider – like my agency, Web Profits – personalization has to be the name of the game when it comes to referral marketing. If you’re too aggressive about pushing referrals, your existing customers may view you as trying to cash in on the goodwill of your relationship (as Sandra Lewis of Worldwide101 discovered). 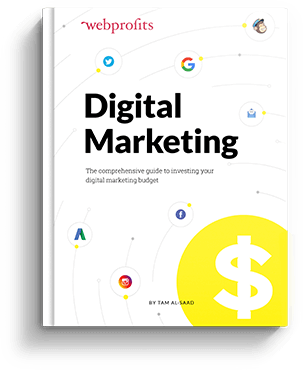 But if you skip referral marketing entirely over fears of coming across too pushy, you miss out on the benefits this growth strategy has to offer. In this case, you don’t implement any formal referral marketing program. Instead, you focus on improving your services to the point that your customers want to refer you to others. Then, when those referrals occur, warmly thank those that did the referring – either with a phone or email message, or by sending an appropriate gift. In service organizations, the “aha” moment is often the completion of the first project (where, ideally, you’ve impressed the client to such a degree that they’re excited to continue working with you). Adjust the script to suit your needs and communication style. Make it clear that you’ll provide the same level of service to new customers that are referred to you, building the trust required for these referrals to happen in the first place. This is another situation where you don’t need to offer an incentive structure. People want to help others. In this case, suggesting a referral to a company they already love gives them an opportunity to help both you and the people they refer to you. Check out the referral structure offered by DSquared Media. The terms are laid out clearly for anyone who’s interested, but there are no intrusive pop-ups or chat windows prompting enrollment in the program. Basically, it’s a “take it or leave it” approach that makes the benefits of referrals clear without burning client goodwill by being too pushy. Those experts shared details and a sign-up link for the conference with their individual audiences (hence, OPN), delivering roughly half of the 15,000 participants that registered for the event. OPN may not be a traditional referral tactic, but it most definitely delivers results. What existing networks – either yours or someone else’s in partnership – could you leverage for your service today? Growth Tribe didn’t stop with “just” OPN, though. They also added a milestone referral program for those who had already signed up. This tactic delivered another 5000 registrants. All told, referrals accounted for about 12,500 (7500 from OPN and 5000 from the milestone program) of the 15,000 total attendees. Do you think IBM offers $25 off for every new customer that signs up? Or that the enterprise giant encourages its customers to simply mention its name to those who are shopping for software? And those are just a few of the schemes that have been published. I’d wager that, behind the scenes, the account reps of the company’s largest clients are encouraged to “take care of” their best-promoting customers in a number of different ways. The bottom line is that, the larger the company, the greater the number of different opportunities that exist to incentivize referrals. Take advantage of as many of them as possible to encourage long-term growth. Follow the templates above, and you should be able to set up the appropriate referral program for your company quickly and easily. Split test your program design to see if your audience prefers one type of incentive over another. Invest in ongoing training for your top referrers, or present them with resources (such as graphics or copy swipe files) to improve their effectiveness. Set variable reward schemes that incentivize high-performers. Again, consider the appropriateness of each of these suggestions, based on your program design. If you run a popular e-commerce brand with an engaged base of referrers, or if you’re a company like IBM with a formal partners program, investing in your program’s participants makes sense. If you don’t have a formal referral marketing program, or if you handle referral requests on a personalized basis, it doesn’t. Ultimately, keep the happiness of your customers top-of-mind. Keep your insight into their behaviors and preferences front-and-center as you plan the referral marketing program that’s most likely to drive results.